As a diabetic, if you’re experiencing a loss of sensitivity in your toes, weakness in your ankles, or you’re having trouble finding your step when walking, you might be struggling with Peripheral Neuropathy and Foot Drop. These conditions can affect your motor function and sensation, which makes it difficult to detect pain in your lower limb, and can lead to ulcers going unnoticed and untreated. A red area on the bottom of your foot that is soft to the touch could be the first stage of a foot ulcer, and you should seek immediate treatment. Anatomical Concepts’ PRAFO® Orthosis is proven to effectively support your foot and ankle, allowing ulcers to heal while you undergo diabetic rehabilitation. 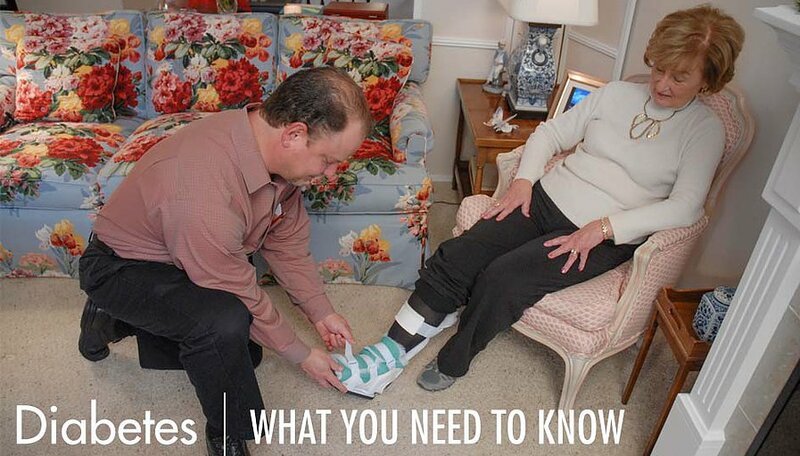 Ask your doctor if the PRAFO® Orthosis is right for you. Work with your doctor to establish a plan to keep your blood glucose in your target range. Check your feet daily for red spots, cuts, swelling, and blisters. Be sure to check the bottom of your feet. Wash your feet daily and dry them thoroughly, especially between the toes. Keep your toenails trimmed and filed. Protect your feet from hot and cold. You can easily burn your feet without realizing it. Keep your skin soft and smooth with a thin layer of lotion over the tops and bottoms of your feet, but never between your toes. Set an appropriate physical activity program and stick with it. Always wear socks and shoes. Keep the blood flowing to your feet by putting your feet up while sitting. Five minutes of simple movement, like wiggling your toes or moving your ankles, two or three times daily will help keep blood flowing.